A very flattering dress, I fell in love with it as soon as I tried it on! 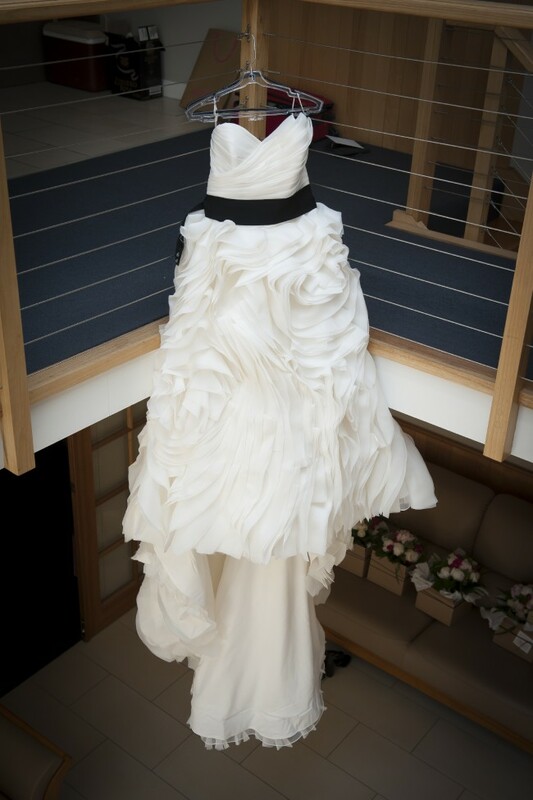 Artfully draped organza folds with a detachable black belt. A beautiful train that can be bustled. Comfortable to wear and has a very flattering neck line. With the corset back this dress would fit size 14-16. Only alteration was the hem, I am 161cms and wore flats. Priced to go as I need the wardrobe space!! Once you send a message, Sam can invite you to purchase the dress.